In the early 1900s, an African-American man named Reverend M.J. Divine began a religious movement that would reach over a million followers at its peak, crossing racial divisions and advocating for gender and economic equality. Despite his influence and achievements, Father Divine is little remembered today, dismissed by detractors as a con man and a fraud. 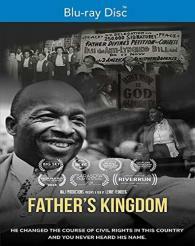 The reason: Father Divine claimed to be God. Through unprecedented access, director Lenny Feinberg reveals Divine s fascinating story, and that of his last few remaining followers, who are on a mission to keep Father Divine s legacy alive.